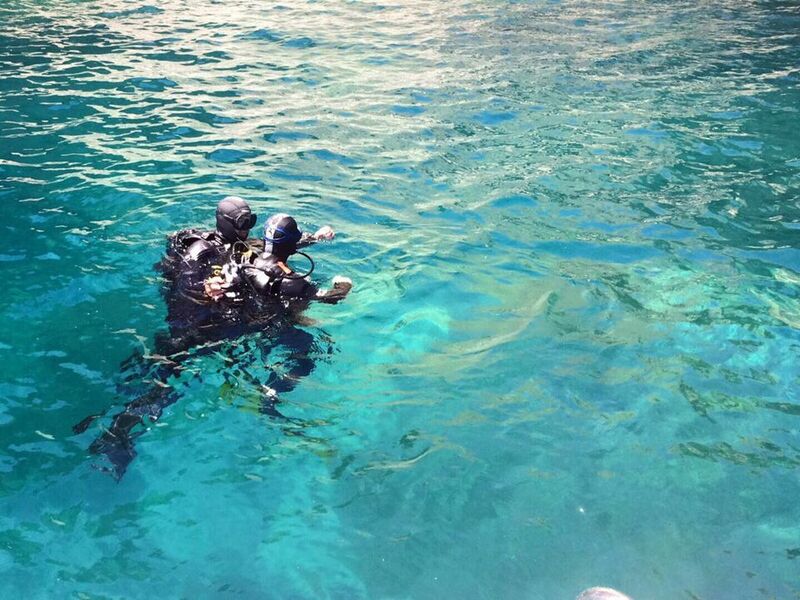 Enjoy Scuba diving without licensing and medical inspection requirements ! Discover from 8 years old scuba diving with an instructor. Your instructor only takes one baptized at a time. He is totally at your disposal to allow you to safely enjoy the fauna and beauty of the rocky bottoms. First Dive is at a depth of 6m maximum. 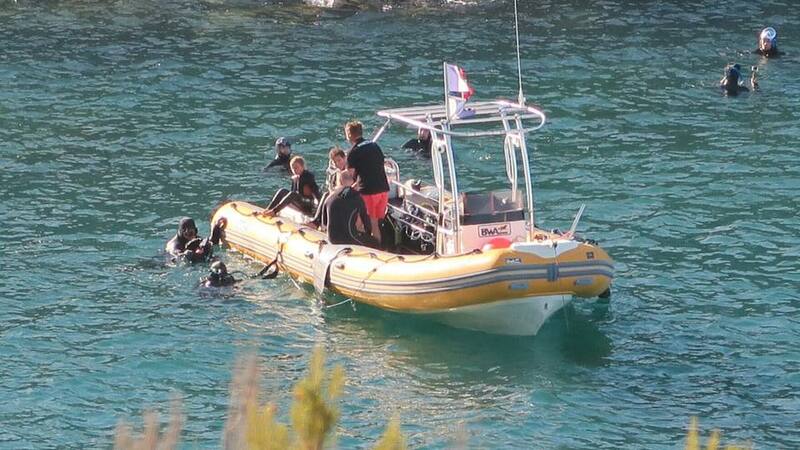 A first dive with the CAP Port-Vendres is an important moment; a moment of discovery, an initiation! You have nothing to do, your instructor takes care of everything! He accompanies you and guides you at your own pace. Everyone is different, and your instructor will respect your apprehensions and concerns, you will be able to safely appropriate this incredible underwater world that will enchant you! 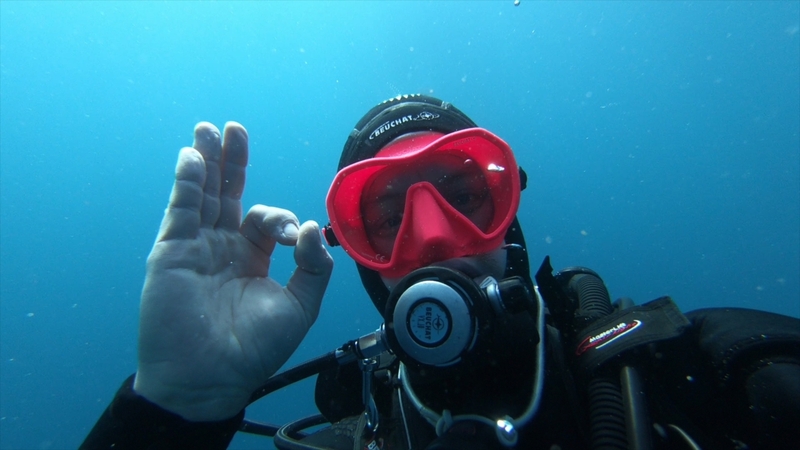 First dive consists in breathing for the first time underwater and discovering the pleasure of underwater exploration. First “Plus’ includes 10 additional minutes of exploration in order to enjoy diving even more. The first 5-10 minutes being a phase of adaptation to the equipment, you will enjoy 20-25 minutes of pure exploration with your instructor. The First dive “Luxe” includes 20 minutes of additional exploration to fully enjoy your dive. The route taken is larger and allows a deeper discovery of the exploration site for a pure moment of discovery and wonder. La profondeur atteinte en début et en fin de stage dépend de l’âge du plongeur, merci de vous renseigner auprès de l’équipe du C.A.P pour plus d’informations. The discovery pack includes two dives after the first dive. The instructor teaches you thebasic diving techniques. Dives are recognized in the training curriculum of a Open Water, so you will only have to make 4 dives to become an Open Water diver, the first 2 being made during the discovery pack. At the end of the course, you will receive a card at your disposal. The dives are recognized in the training curriculum of a level 1, so you will only have to make 4 dives to become level 1, the first 2 being made during the discovery pack. At the end of the course, you will receive a card at home attesting to the completion of the 3 dives. A diver card framed at 12m PE12 can be issued if the depth is reached during the training and for the sum of 15€ (medical certificate required). From the boat discover the rocky coast with the help of fins, mask and snorkel or the easybreath ® mask, which allows you to breathe through your nose and mouth. The walk allows you to discover life under the surface of the sea, full of fish and colour. The team is at the TOP, great professionalism, I had a great time with my two loulous, we can’t wait to come back. Thank you all and see you soon. A magical moment for the first dive of my children! A welcome at the TOP with a smiling, competent and dynamic team. A great relationship with the children. The site is really beautiful and the outing is done by taking the time to appreciate each moment. A magical activity that my children keep talking about…we look forward to coming back for a family dive.